Still haven’t picked up that Father’s Day gift have yet? Don’t feel bad, we all put it off till the last minute. This procrastination has nothing to do with our affection for dad. It has everything to do with wanting to find the perfect gift but having no idea what that gift would be. Here’s a hint – it isn’t a “kiss the cook” apron, another tie, or even a car wash kit. Nothing horribly wrong with any of those except they are over done and show an astounding lack of creativity. To help you out, I have put together a list of five things I know your dad would love. How do I know? Because I am a dad, a car guy, and I would be overjoyed at any of the items on the list. Let’s face it, your dad will be happy with whatever you get him because it is from you. But wouldn’t you like him to really appreciate the gift too? Oh, and if you are in fact the dad, feel free to get any of these for yourself. Go on, splurge a little. We deserve it. Puzzles and artwork from Sports Car Art. Not only is the artwork from David Townsend amazing to look at, but through the 18th of this month, you can save 15% on all his limited edition prints, puzzles, or decals. Just use the code fd2017 at checkout. 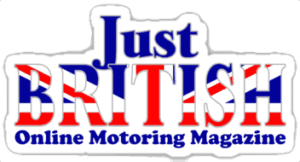 David is not only the artist who did the poster for the British Sports Car Hall of Fame (which I believe he still has available), but his art has been featured on Moss Motors catalogs, other car shows, and will be prominent in at least one book on British cars coming out soon. He has stock art in the form of prints, puzzles, and stickers, but you can also get prints of cars customized to match specific options on your or your dad’s ride. Seriously, dad would love anything from the Sports Car Art catalog. 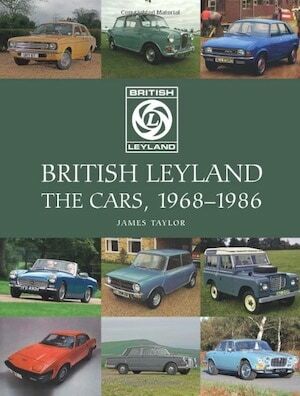 Next up, how about a great car book? Again, I like discounts along with my gift giving, so I’ll turn to the folks at Veloce Press. You can get 40% off most of their items, except limited editions, by using the code FD40 at checkout through Saturday the 17th. Among the items you will find at Veloce are books on everything from AC to Wolseley. One of my personal favorites, perhaps because the MG PB Airline Coupe is probably my favorite cars of all time, is Art Deco and British Car Design – The Airline Cars of the 1930s by Barrie Down. It is a drool-inducing addition to any library. But take a look around, I am sure you will find loads of good options for dad at Veloce. Third, how about some gloves? And by that, I mean I have a pretty firm rule that clothes are not gifts, but these really don’t count as clothes. What I am talking about here fall more in the tool category than clothes. mechanic’s gloves. Not only will a good pair of mechanics gloves help protect dad’s hands from cuts, burns, and other damage, but they will also help keep dad’s hands clean thereby making mom, boss, coworkers, and most other folks who have to deal with him happy. I admit that I don’t use my gloves as often as I should, but when I need them I really need them. And when I have to do a quick check of the engine while already dressed and clean for work or some other outing, I really appreciate being able to pull them on. This certainly eliminates having to do that full surgical scrub after just checking the oil. And brake fluid. And coolant. And loose looking hose or nut. Fourth, and hear me out here, a Tile. Notice that is Tile with a capital “T”. The Tile is a small, postage stamp sized device that you attach to a keyring, toolbag, or any other item you want to be able to find later. Look, dad isn’t getting any younger – and I am talking about myself here. Sometimes I just forget where I put things. With this little device, dad can use his cell phone to locate the area of the lost item and then make the Tile ring to help track it down. In reverse, if he can’t find the phone he can press a button on the Tile and that will make his phone ring. Really good stuff. Finally, and this one is gonna sound a bit sappy, how about spending some time with your dad and his car? I know, I know, this was supposed to be a simple list of things you could buy to make your father happy. But how about you get that puzzle from Sports Car Art and then take the time to sit down and do it with him? Or ask him to give you a ride in his British car to lunch? During the trip, ask him about the car. Show interest in the car and his hobby. Oh, and yes, pick up the check for lunch. I wouldn’t recommend your washing his prize car without asking as he is likely to be particular about the way it is washed, but how about asking? Or ask if there is any other task involving the car that he could use your help with. Let’s face it, most older British cars can alway use a good brake bleeding, and that is certainly a two person operation. So, in addition to buying your dad a gift this year, put some of yourself into it. Customize the artwork, work on the puzzle with him, help him set up the Tile locator, read a bit of that book and discuss it, or help him care for his hands. We all try to find the best gift we can, no doubt about it, but the best gift you can give your dad is to show him you care and are thinking about him. I am a dad. Trust me, I know. My personal bias aside, that was a great read. Well done, sir!